9Mobile night data plan subscription code to subscribe to 9Mobile night Plan and their also prices are highlighted here. Its now old news that Etisalat Nigeria has changed its brand name to 9Mobile and according to the management of 9Mobile, these are the USSD codes to subscribe to any of their night and weekend plans. 9Mobile has the most expensive night plan at a cost of 200naira when compared to other telecom providers such as MTN and Airtel but boost of quility network with high speed night browsing. So it is advisable to know the best network strenght at your location before you opt-in any of the night plans. 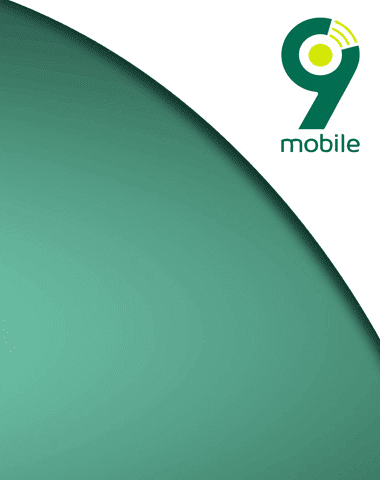 9Mobile night plan is usable between the hours of 12:00 AM and 5:00 AM everyday. Below is how you can subscribe to 9Mobile Night data plan. To subscribe to 1GB 9Mobile Night plan for only 200 naira, just dail dial *229*3*11#, valid for one night. There are also 9Mobile weekend plans that cost N1,000 and N2,000 which you can subscribe to. Note: This plan is only usable between 7 PM and 7 AM everyday but usable both day and nignt on weekends. To subscribe to the 9Mobile Weekend plan at a cost of N2,000, dial *229*3*13# . Valid for 30 days. Note: This plan is only usable between 7 PM and 7 AM but usable throughout weekends. You also get 100MB to WhatsApp 24/7 without any form of restriction. Its up to you to choose between 9Mobile night plan or 9Mobile weekend plan. so which one will it be?